We're hosting a joint State of the Cities luncheon with the Flower Mound Chamber of Commerce and the Highland Village Business Association. 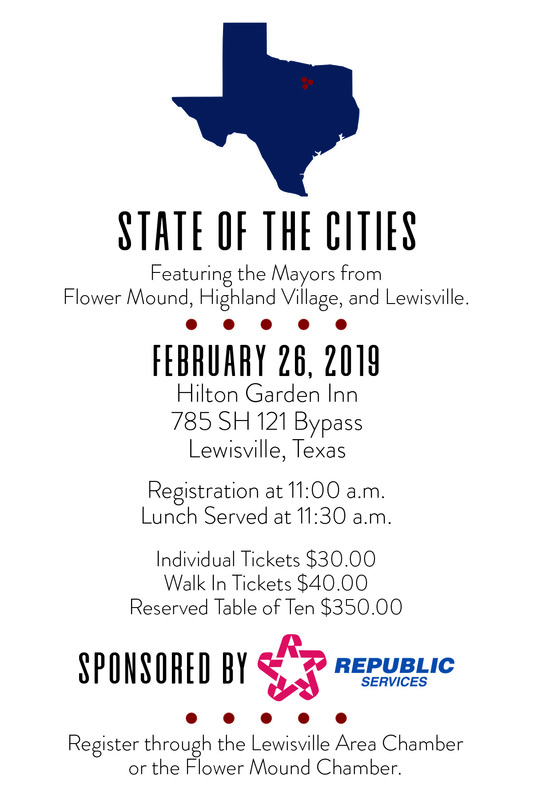 The luncheon features the mayors of Lewisville, Highland Village, and Flower Mound. You'll get a recap of 2018 and a glimpse of 2019 as the mayors of all 3 cities discuss the growth and reinvestment of the local communities. Please feel free to contact us if you have any questions or would like more information.